Sometimes, home chores can overwhelm you to the point of requiring the assistance of a maid. It could be help with cleaning, laundry or any other task around the home that you can't find time or energy to do. Hiring a part-time maid is what often comes to mind during such a situation, and for a reason. They're cheaper, don't have to reside in your home, and you can have them only when you have excess work around the house. Because a hiring a part-time maid offers unrivaled convenience and flexibility, it follows that many homeowners in Singapore prefer them. But then, they have to be legal, or you could be exposing yourself to many dangers. So, why should you ensure the part-time maid you hire is legal? Here are 7 Reasons why you should NEVER hire Illegal part time maid. Being a developed country, Singapore often attracts illegal domestic workers from different countries. The ministry of manpower, MOM, is clear on this. It requires you to report any illegal foreign worker you come across. If you employ an illegal part-time maid, you will have committed the offense of violating ministry rules and could find yourself on the wrong side of the law. You risk being arrested. What's more, such an offense carries the hefty weight of a fine, a jail term, or even both. To stay away from trouble, it's good to always hire part-time maids from reputable companies. Their workers are licensed and will give you peace of mind regarding how you relate to the law. It's better to be safe by hiring a legal maid than risk arrest. 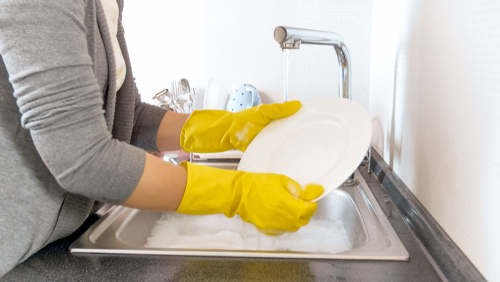 Most often, illegal part-time maids are not properly trained. They may not have the skills to work on tasks in your home. The results could be disastrous, with some of their work being unsatisfactory or risky. Where knowledge is required like in using some cleaning products, they may even endanger the health of your family. A legal part-time made from a licensed company will, on the other hand, possess excellent skills. The result of their work is likely to satisfy you to the fullest. They will work in a safer way and will not expose you and your family to risks. The safety of your home is paramount when it comes to employing someone to work in the house. If you hire a legal part-time maid, you can trust them to a higher degree. This is because the companies that employ them conduct background checks to determine their authenticity and if they're honest. If you employ an illegal part-time maid, you will have no knowledge of where they come from or even what their past has been like. Even if you were to try to ask them about themselves, they could choose to lie. To avoid all this, it's always advisable that you hire maids from a licensed company. The company will have already conducted a background check on your behalf, and the maid you get from them is likely to trustworthy. An illegal part-time maid may not feel the need to be reliable. They're not bound by any contract to work for you and can choose to be around or not. They can leave you stranded even after giving them all your trust that they will help you complete the tasks in your home. Moreover, you cannot pursue them if they fail to comply with your rules or requirements. You cannot use the law against at them either since you hired them illegally. It puts you in an awkward and difficult situation should they choose to have their way and say. Singaporean laws require that all foreign workers submit an FWL, or Foreign Worker Levy. Illegal workers don't do it, denying the government revenue. By hiring an illegal part-time maid, you will have collaborated in this. It's a lack of patriotism on your part as well as a breach of the law as laid out by the MOM. While hiring an illegal part-time maid may appear to be cheaper, always look at the broader picture. Be patriotic enough and follow the regulations set out in the law. Have a worker who pays the required monies to the government. It works for the good of both of you, the employer and the worker. Hiring an illegal part-time maid puts you at risk of losing items in your home. First, you may not know where to get them if they steal from you and disappear, and they know this. Secondly, by hiring them, you act against the employment laws regarding the hiring of illegal workers. If they happen to steal from your home, you cannot expect to use the law to pursue them. Worse still, illegal part-time maids don't have a company to report to, so they will feel no fear to involve themselves in thievery. To stay safe, it would be better if you get your part-time maid from a company that deals with the service of providing them to homeowners. That way, you can lodge a claim or complaint if you happen to lose anything in the house. An illegal part-time maid doesn't work under any company. They're, therefore, not entitled to benefits that a company may offer while at work such as catering for emergencies. In the unfortunate event that an illegal maid gets involved in an accident while working in your home, the whole burden would be on you. You would have to cater for everything and pay all the bills. Still, in the process, you may end up getting yourself in the line of the law and suffer harsh penalties for having hired an illegal worker. It wouldn't matter if you did it knowingly or unknowingly, you would face the law as it is. Hiring an illegal part-time maid can be enticing, given that its way cheaper. However, on a closer look, the dangers involved outweigh the benefits you stand to gain. The risks involved are far too many to even think of it. To stay on the safe side, both with the law and at a personal level, always ensure the maid you hire on a part-time basis is legal. You ensure this by getting them from a licensed company. It is very difficult to work in a cluttered untidy office. It is also difficult to get the time to clean your workspace on your own. For this reason, you require a professional cleaning service provider. Commercial cleaning services are also imperative for rental property. Selecting a good service provider can be the difference between a clean functional work environment and an untidy dysfunctional one. But how will you distinguish between an effective and ineffective commercial cleaning provider? Here are a few tips on commercial cleaning services. It is illegal to engage unlicensed cleaning businesses in Singapore. Before choosing one, ensure the company has a valid up to date license from the national environment agency. Further, they should have accreditation through the enhanced clean mark accreditation scheme (EAS). These two conditions will help you determine whether you are dealing with a legal business. A good way to determine if the company will do a good job is to examine the number of years they have been in service. The more the number of years, the better their service is likely to be. Inquire how long they have maintained contracts with previous clients. A long-standing contract indicates that they are good at their job. However don’t just take the company’s word for it. Ask for testimonials from some of their clients. You can also ask for referrals from some of your friends or colleagues. The company’s portfolio should be wide and varied. It is actually cost-effective to get one company to perform all your cleaning tasks than several companies to do one task each. Their task range should include carpet cleaning, high dusting, cleaning of upholstery and furniture, polishing surfaces and cleaning glass. For rental property, the cleaning company must be able to offer pre-moving cleaning at short notice. They should be able to offer these services on a regular basis in addition to the day to day cleaning. The cleaning company should be able to work according to your schedule. The company must be able to respond to emergencies appropriately. Should there be flooding for instance in your workspace, how soon would they be able to respond? Inquire whether there are times that the company doesn’t offer services. Apart from flexibility in time, the commercial company should be able to add on services at request and also customize them to suit your facility’s needs. The precautions taken by the company staff to ensure their own safety can tell you whether the company is reputable or not. Their staff should wear protective clothing like gloves to prevent their hands from getting in contact with corrosive chemicals. They should wear appropriate uniform and identification badges. The staff should be sufficiently trained in handling delicate items and heavy furniture. Apart from that, the company should be able to assure you that your belonging and confidential documents will be safe from pilferage. Enquire about the precautions that the company takes to ensure that the client’s items are not mishandled or stolen. 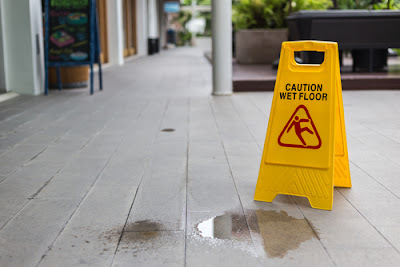 The importance of a good insurance policy for a commercial cleaning company cannot be understated. Accidents happen sometimes despite all precautions made. 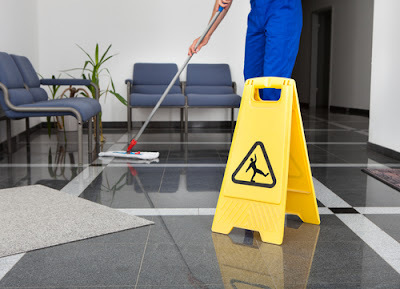 Should one of the cleaning staff damage items in your office, the insurance company should be able to pay. It is also likely that a cleaning staff may injure themselves in the process of cleaning your space. You don’t want to be sued for liability. A good policy will be able to reimburse the injured staff. The company must have general liability insurance coverage to protect both their staff and their clients against such unforeseen occurrences. It is very frustrating to deal with a service provider who will not answer your questions or follow through with your requests. For this reason, your cleaning company must have very good customer service. You can gauge a company’s customer service profile by how friendly their staff is. Another way to gauge is by reviewing their online reputation. They must not dismiss any of your complaints or treat any issue lightly. Ask any former clients of the company about their experience with the customer service of the companies you are considering. Make sure that the services offered are within the budget range. There is no need of subscribing to an overly expensive service which you will be unable to sustain in the long term. The company must give you value for your money. They should be able to do a better job than you would do if you were cleaning by yourself. Never take quotations over a phone call or email. The price may change after viewing the site. A good company will assess your facility before giving you a quotation. A commercial cleaning company should steer clear of products that are corrosive and harmful to the environment. The kind of products used usually affects the indoor air quality of your work environment. 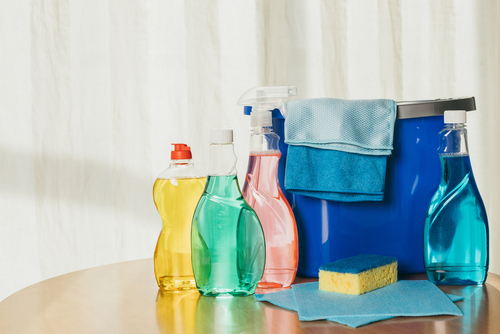 Some cleaning products will cause respiratory and allergic reactions to those who are exposed to them. 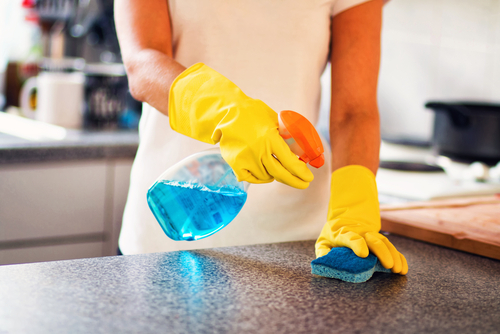 Ensure that the cleaning products are non-carcinogenic and non-corrosive as well. Also make sure the vacuums used by the company have HEPA filters. HEPA filters trap the smallest particle sizes and therefore get rid of all potential air pollutants. Find out if they use microfiber towels. These towels are specially designed to pick up the tiniest dirt particles. The towels reduce the need for using soap and detergents. A clean working space enables you to function optimally. It also portrays organization and professionalism to potential clients. For rental property, a good cleaning service ensures that your property is attractive to tenants and reduces the number of tenant’s complaints. A commercial cleaning service will help you maintain a clean and tidy workspace. An appropriate cleaning company is one that has adequate experience, a wide variety of services, is flexible, pays attention to safety and is budget friendly. The company must also be insured, have good customer service and use eco-friendly products. If you have ever or have been cleaning your carpet on your own, you know what a pain it can be. Stains and dirt don't completely come out, and it doesn't dry quickly. It makes your work worthless, plus the moisture that's retained can mold to grow and become a health risk. 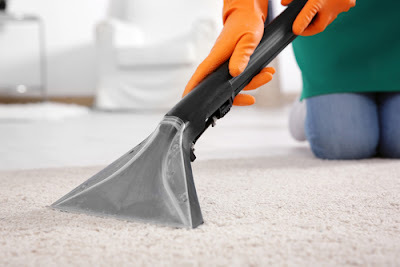 The reason why your carpet cleaning is not efficient is that you use conventional consumer cleaning equipment, you lack the necessary skills, and don't have the necessary experience in cleaning different types of carpets. Professional carpet cleaners, on the other hand, have all the equipment and skilled workers. They're in business, so quality work is their priority. The work they do cannot be matched with what you would do, which makes hiring their services of benefit. That's, unless you want your carpet to harbor dirt, germs, mold, and have a shorter lifespan. Here are the Pros of hiring professional carpet cleaners. A carpet cleaning company will have in possession industry-grade equipment to vacuum, wash and dry up your carpet. The result is a carpet free from dirt, dust, or moisture. They're also able to wash every corner of the room where you wouldn't have reached. Using their equipment, they're able to dry the cleaned carpet better than your regular equipment would do. Cleaning the carpet is no simple task. It can take you hours and tire you out. Cleaning it on the day you're free from work robs you of the time you would spend looking after your family or in doing other house chores. You don't want to spend the entire day attending to a mere carpet and having no time to relax. 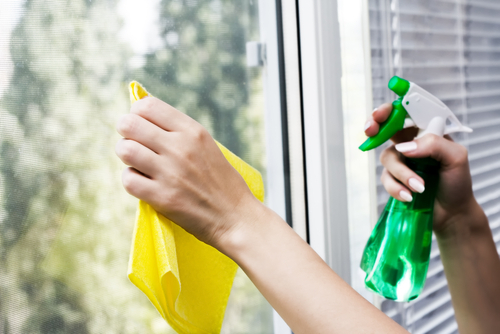 Hiring professional cleaning services frees so you can direct your attention to other activities. The cleaning done by a professional is, undoubtedly, better than what you or your in-house cleaner would do. A professional cleaner is specially trained to clean carpets. Combine that with the experience they have, and the result is an ultra-clean carpet that looks visually appealing. Doing it yourself may not be as efficient, and your room or house wouldn't look visually attractive. A carpet that's not well cleaned will likely have dirt and dust remain, causing allergy problems to the people occupying the room where the carpet is. However, when professionally cleaned, these dangers are eliminated and is the reason why it's better to hire professional carpet cleaners than doing it on your own. Most of the time, poor cleaning methods is what causes a carpet to wear out soon or to get damaged. 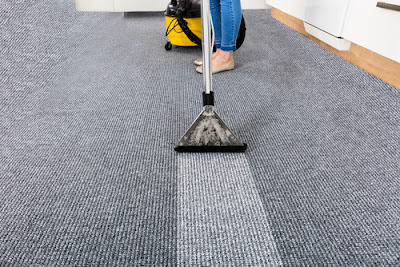 Using low-quality equipment, not drying it thoroughly, or not fully removing the dirt on the carpet leads to damage and its lifespan reducing. By hiring professional carpet cleaners, you help your carpet to last for a longer time before having to replace it. Carpets can be costly, and you don't want to purchase a new one soon. One of the most difficult parts in carpet cleaning is in ensuring total removal of stains. Some stains are so stuck that removing them using normal cleaning equipment and materials is almost impossible. Only the tools and cleaners used by professional cleaning companies can eliminate them. Trying own ways may not only be futile but may result in damage to your carpet. If your carpet is affected by stubborn stains, you may have no other way around it other than hiring a professional company to do the cleaning. Carpets hide dust underneath and within. When this dust mixes with the air in the room, what the occupants are subjected to is low-quality air that's not safe to breathe. Professional carpet cleaners use modern technology to clean both the carpet and the floor, including the corners that are usually neglected. Once the whole process is over, there are no remains of dust, and other allergens and the whole room feels fresh and clean. Mold often grows in moist conditions. The warm environment of the inside of a room and the moist state of a carpet that has just been cleaned make a good environment for mold to grow. When you clean your carpet, you're unlikely to make it dry up completely, and any slight moisture left would give rise to the harmful fungus. Only the equipment used by commercial carpet cleaners have the ability to ensure total moisture removal, and within a short time so as not give room to mold growth. Knowing that you have a carpet to clean can weigh down on you mentally. It becomes even more stressing if you have little or no knowledge of how to do it the right way, or what tools and cleaning materials to use. Knowing that someone else will do it on your behalf relieves your mind of stress and allows it to relax. In the case where you have to clean your carpets without help from a professional, you would need to have with you the right equipment. The initial cost of acquiring them can be high and not in line with your budget. Still, acquiring industrial grade equipment that clean carpets well may be beyond your ability. Hiring them is an option, but then you would get to a dead end when you don't have the skills. Hiring a carpet cleaning company relieves you of all this agony and cost of having to purchase or hire equipment. You only need to contact the company, agree to the terms, and the rest is taken care of without you having to worry about anything. Cleaning the carpets in your house or commercial property yourself may appear appealing and less costly. However, on careful evaluation, it's stressful, inefficient and can result in damage to the carpets. Hiring a professional company to clean your carpets saves time, money and results in better-looking carpets that are well cleaned and with less damage. Any office cleaner that is worth it will be bonded insured. This has several advantages for you. Number one protects you in case of theft or loss caused by the company because you will be reimbursed for any damage or theft that occurs as a result of a company error. Number two, an authorized organization is one that can be found and verified. The simple act of hiring a person without a license or insurance and bail can save you some money in the short term, but it will also make it difficult for you to protect yourself in case of theft, damage or other loss. And number three, the fact that an office cleaner has a license, bail, and insurance tells you in advance that that company is serious about what it does. That, in turn, is likely to mean that the work that the company does will be first class and that you will be happy with the results. The office cleaning company has happy customers. Ask for references and then follow up by calling some. Check with the Better Business Bureau at BBB.org to see if complaints have been filed against that company. Research the company to see if you have had any general claims by going to your favorite search engine and typing in the name of the company and then the word "review" or "complaint." If any adverse information appears, you will know how to avoid it. The office cleaning company is local and relatively small. It is not a perfect way to determine the reliability of a company, but in general, if a group is local and relatively small, it is much more likely that you get the same office cleaner each time you receive service, and you are much more likely to get individual attention. That does not mean that national chains cannot be reliable, but if you want personal care and want to develop a professional relationship with the company to be sure of being happy with the results every time, go small and local instead of doing it locally. A large and national. The office cleaning company is professional. This is somewhat related to being bonded, licensed and insured. If a company has taken the trouble to go through these processes, it shows that the company is serious about their business and will be professional. Therefore, you should look for a company that has licenses, bonds, and insurance before hiring. Also, the company should be able to give you a schedule of charges for the services offered and should be able to meet your plan as agreed at all times. Again, checking the opinions of other clients before choosing a company is an excellent way to ensure that the company you hire is professional and pay attention to the details you need. People say that first impressions are lasting impressions. This is not only for people, but it is also true for workplaces, businesses, as well as for the home environment. 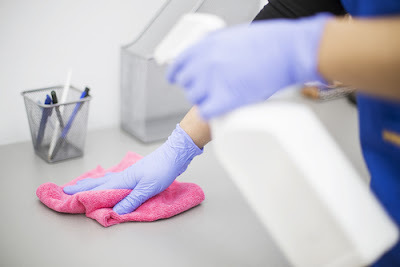 Think about it, when you have visited a professional office or maybe a doctor's office, if it looks dirty and messy, dusty and unhealthy, you are likely to return. Probably not, this is the reason why office cleaning is essential for any business, just as cleaning your home is vital for your family life. 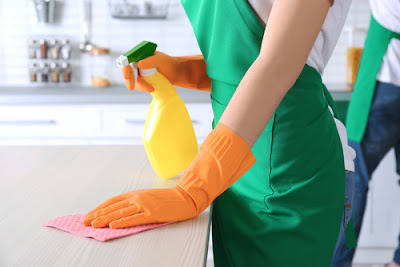 Depending on the size of the office, the number of employees or customers, office cleaners may be needed as little as once a week, or in larger areas, nighttime office cleaning may be necessary. 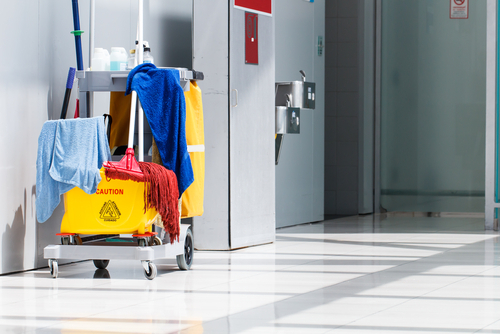 Cleanliness is essential for the health and well-being of customers and employees alike. Dust and dirt can cause allergic reactions, and unhygienic sanitary facilities can cause diseases. When selecting an office cleaning service, it is essential that you choose a company with a proven track record. You do not want to hire a group of office cleaners to come in and just do a touch-up cleaning and not a full job. Many times these types of companies have low standards without quality control, but they will have meager rates. You want to make sure you hire an office cleaning company that meets high standards but offers competitive rates. 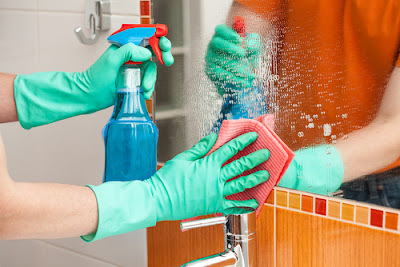 You should ensure that the company does the essential work, such as vacuuming all areas, removing dust, emptying garbage receptacles, cleaning and disinfecting bathroom fixtures, washing glass and mirrors. 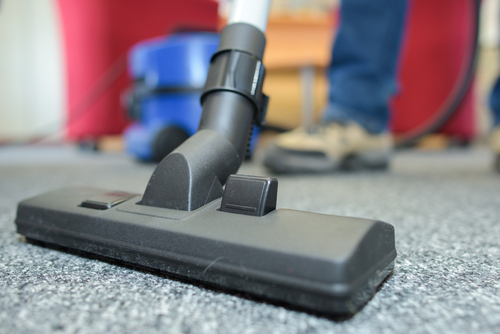 If your office has other needs, such as monthly carpets or upholstery cleaning, talk to the cleaning representative. * Do you offer a team leader? * Regarding your checklist of the services provided. 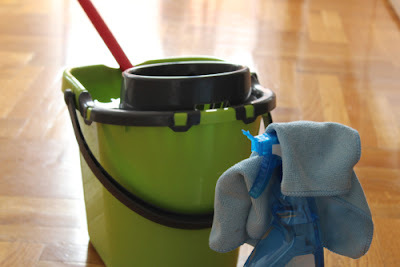 * Does the office cleaning company provide commercial services for additional fees? * Do they require a minimum contractual agreement? * How often and on what occasions will they be available for the task. * What types of cleaning products do you offer? * What kind of commitment is required? These are just some of the critical questions that you may want to ask about. If you have specific needs or requirements, it is important to discuss them with the company representative before concluding the contractual contract to clean the office. When you need professional office cleaners, use a reliable office cleaning company which will leave your office space clean and fresh, and that will give you an excellent first impression. The first thing that each office cleaner on your list should have are the bathrooms. 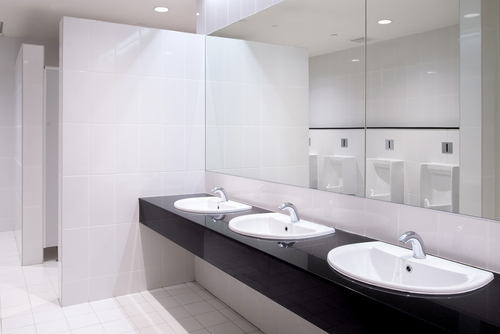 Bathrooms are an essential part of making sure the entire office is hygienic. Both customers and workers hate using a bathroom in a room that is unpleasant. A dirty bathroom also throws a bad light on you, since it can make the company look cheap. Making sure that the bathrooms in your office are at the top of the list is very important to keep your customers and workers happy. Also, if the bacteria were visible, you would be surprised by how quickly they can spread from the bathroom to the rest of the office. Workers who do not wash their hands after using the toilet or office cleaners who do not do a full job disinfecting the bathroom can quickly lead to employees becoming ill with germs.